PJ just got home from a semester in Germany. 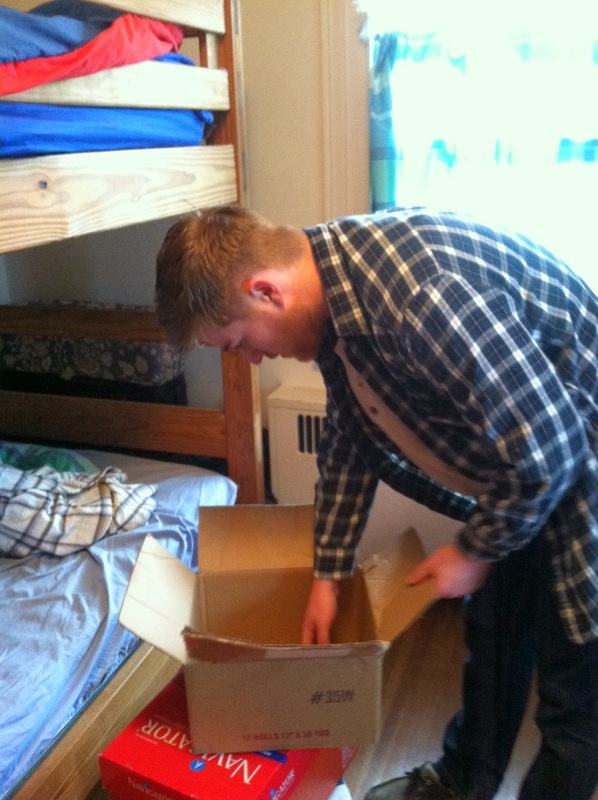 He came back to a room spilling over with clothes, papers, books and assorted furniture from his last Millersville apartment. Ya-Jhu and I went in there while he was gone, hoping to make some sense of the chaos, but quickly retreated, totally defeated. But there is hope! PJ is a new man after his European sojourn, a pack rat no longer. He vows to whip his room into shape in a matter of days, relegating bags full of random saved things to the trash. He wants to pare his life down to the basics, and more power to him. 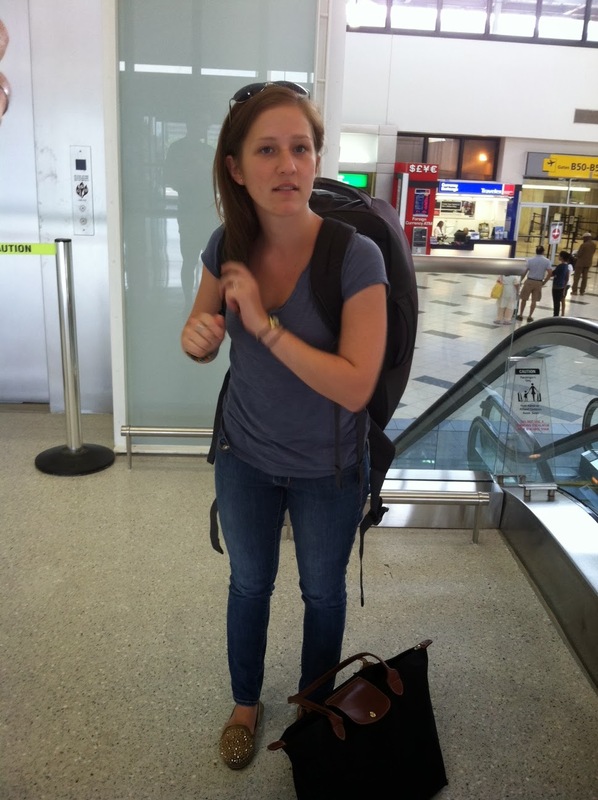 Julie recently traveled internationally for three months with one medium-sized backpack. She wore her tiny wardrobe, washed it in hostel sinks, and wore it again. She came home to a room full of fashion, enough sweaters and jeans to open a branch of LOFT, and she was turned off by the excess. Jules is sorting through, selecting many items to give to charity, vowing to pare her life down as she heads toward college and living on her own. Sheridan and Yaj have gone all organic and environmentally sensitive, toting their own bags to the grocery store, eschewing foil and plastic wrap for Tupperware. Steve and I are slow to fall in step, regularly forgetting to love the planet, but we're getting there. I look at our newly organized refrigerator, with lots of blessed open space, and realize that there is value to paring it down, combining three 1/3 full yogurts into one container, pitching the science experiment buried on the lower back shelf. One of these fine days it will be my turn to confront the vast assortment of flotsam and jetsam in my home that would definitely qualify me for an episode of “Hoarders.” I will box up the old VHS tapes, I will jettison the canned goods long past their expiration date, I will pare my life down to its essence. Painful as the process will be, I know in the end it will feel good. What are you carrying that would feel so good to put down? What excess is cluttering up your life? It’s not New Year’s yet, but here’s a 2014 challenge: take a good, long look at your stuff, any toxic relationships, your overcrowded to-do lists, everything that is standing between you and a simpler, less stressful life. Pare it down, all of it: say goodbye to people who consistently hurt you, shred those crazy lists, box up your regrets and your disappointments and get rid of them. Now. Look at all the beautiful open space in your heart. Room to breathe. Room to live abundantly. I’ll do it. I’ll do it if you will. Well, the weather certainly wreaked havoc with MY plans this week. 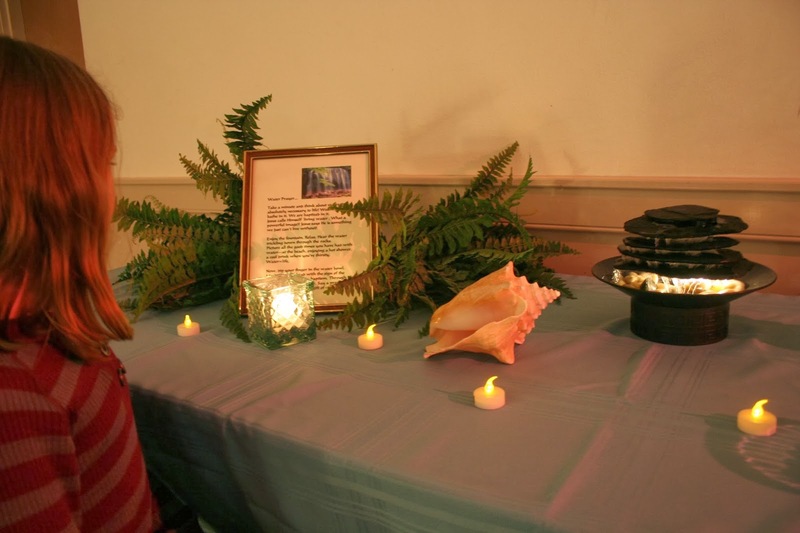 I’ve been designing our annual Advent prayer center at church for months. I take a lot of pride in the work that my amazingly creative friend Marda and I do in coming up with a different center each year. As usual, I anticipated over 120 people coming through and experiencing 12 different, hands-on prayer activities over a period of four days. The stations were all set up, the music playing and the candles lit. What do they say about pride going before a fall? In this case, a snowfall? Sunday, Day #1 of the event, the fluffy flakes began to descend during the 10:30 worship service (we were due to open the center at 4 PM). The forecasted “dusting” quickly turned into “coating,” then the meteorologists started sinking rulers into the heaps of white stuff outside. Four inches. Six inches. Because it was the weekend, plows were very slow to appear on the roads. Scratch Day #1. Attempt to reschedule 30 people for the remaining days. Monday, Day #2, was cold but blessedly clear, so everything happened as expected. Whew! But wait! Tuesday, Day #3, the heavy snow began by 8 AM and as of this writing shows no signs of abating. Once again, a cancellation, another large group of folks to (hopefully) be moved to another time. Tomorrow should be sunny but bitterly cold, which will also likely deter some people from venturing out. And I have to take everything down tomorrow night to make room for the senior citizen group’s Christmas lunch in Parish Hall on Thursday. I’ve been fuming and fussing, very annoyed and disappointed that my big production is in tatters. Thanks a lot, God! Here I was trying to do something nice for you, and this is the appreciation I get! Maybe I need to let go of my grand plans, well-intentioned though they may be. These storms have inconvenienced many, many people on a far deeper level than me. Drivers in cars have skidded off roads, children in houses have lost their heat. Schools and businesses have closed. Emergency workers have been put at risk as they respond to countless calls for help. Maybe I need to pray for all of them, and not in clever ways but in a simple one. Perhaps I can utter a prayer of thanks that my family and friends are safe and warm, and that for us this snow is just a beautiful nuisance. And Lord, may I see this unanticipated week of altered plans as a kind of gift. A reminder of who is in control (note to self: NOT me). A not-so-gentle nudge to send me to my knees. Life is filled with stuff that just happens, but there is grace and redemption in all of it if I only take the time to look. 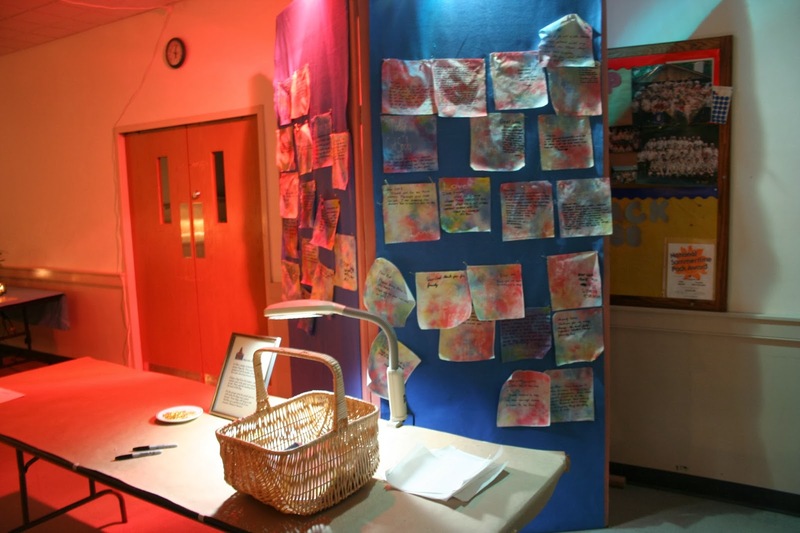 This year, may the messed-up prayer center, center me. Amen. 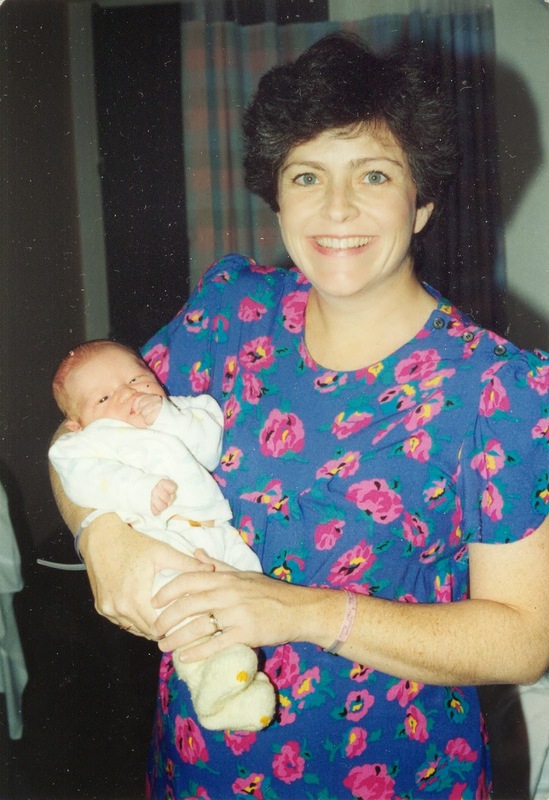 19 years ago tonight, I was at Pennsylvania Hospital awaiting the birth of Bouncing Baby Seyfried #5. Labor wasn't progressing, even after hours.of walking in center city in the bitter early December cold. Back in Oreland, my mom was amusing the other kids with a guessing game--boy or girl this time? While I badly wanted a sister for Rosie, with three boys already, I was prepared for another son. Which would have been fine had Steve and I been able to agree on a name. I thought Charlie was adorable; Steve wasn't so sure. His choice was Benedict, the name of one of his good friends in seminary. I was adamantly against this one (though I liked Ben himself), thinking only of probable nicknames for the poor little guy (Arnold! Eggs!) We had nearly arrived at a compromise monicker, Quinn, but were debating still when we decided to head home. Little Whatshisname was clearly not about to make an appearance today. But as we cut through the hospital lobby en route to the parking lot, we bumped into the nurse who'd been there when I was examined in the morning. She took one look at me and said, "You really should go back upstairs and be examined again." She sounded so emphatic that we obeyed. And thank God we did, because that exam revealed the baby's heart rate was dangerously low. By the time I got settled in a room, full labor had kicked in and I was in agony. I don't want to think of what would've happened if we'd been on the Schuylkill Expressway at that moment. After a tumultuous evening, shortly after 1 AM, Julie Claire arrived, safe and sound. Ever since, we've thought of that nurse as an angel, put into our path to make sure our precious child was OK. I was thinking of Julie and angels again this week as she finally came home from her three month backpacking odyssey in Europe. I was so proud of her for attempting this feat, but worried all day, every day about her safety as she traveled through 11 countries alone. With only two minor negative incidents ( infected tonsils in Vienna and bedbugs in Nice) the whole trip, and many, many incidents of kind strangers who became friends, I concluded that Jules had an angel on her shoulder, making sure she was OK. Then I realized that these new friends WERE her angels, making her traveling world a safer and happier place. Do you believe in angels? Heavenly protectors who make sure we’re OK? It’s hard to square that, isn’t it, with the many, many people who suffer hardships, some beyond imagining? But I will say that we have the power to be angels for each other on this bumpy road called Life. Offering a helping hand, an encouraging word. A little love. We can do this. Welcome home, my Julie. May you always be surrounded by angels, as you are an angel to me.